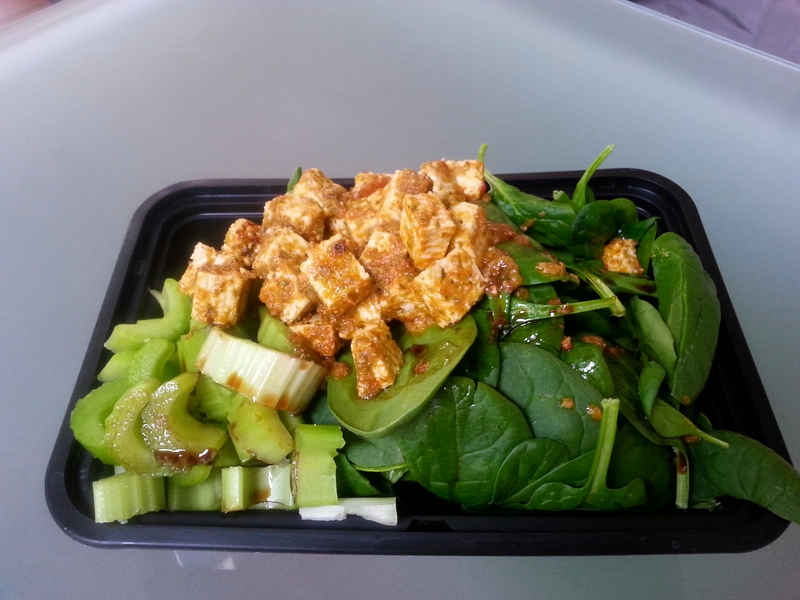 Roasted Tofu Salad – Love. Nourish. Heal. Roast the squared tofu with pesto and tomato sauce for 18 minutes at 350 degrees. Place on a bed of spinach, celery and pecans. Pack it up and go!